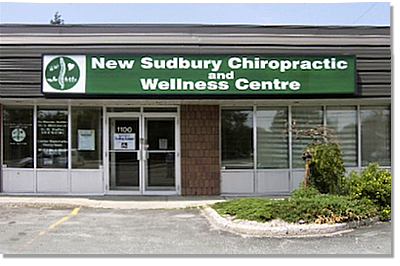 Here at New Sudbury Chiropractic and Wellness we believe in complete health. Along with Chiropractic, we offer Massage Therapy, Greens First and Holistic Products, doTERRA Essential Oils, and Orthotics. We are a team that loves to help our patients achieve the wellness needed for a happy life. Print this “I Care Card” and save on your initial visit. Our office is located at 1100 Lasalle Blvd, in Sudbury, ON, and we have three Chiropractors here to serve your Chiropractic needs: Dr. Clark Michlowski, Dr. Michael Staffen and Dr. Kassandre Goupil. We also have several Registered Massage Therapists on site. Our office is here to help as many people as we can achieve optimum health throughout their lifetime and a quality of life in which a person enjoys the important possibilities of his/her life. It is the quality of our health, well-being, relationships, mental attitude, love and gratitude which produces quality of life. 1. We care about you and your family’s well being. We watch our chiropractic patients grow healthy throughout the years from newborn to elderly. 2. Over 50 years combined clinical experience in natural health care. 3. Free parking and easy access on/off Lasalle, on bus route. Ground level entrance (no stairs).